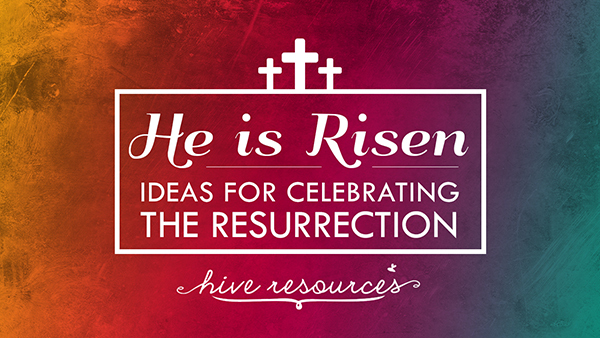 Whether your family fills Easter baskets or not, Easter offers parents a special opportunity to inspire your children toward resurrection living. 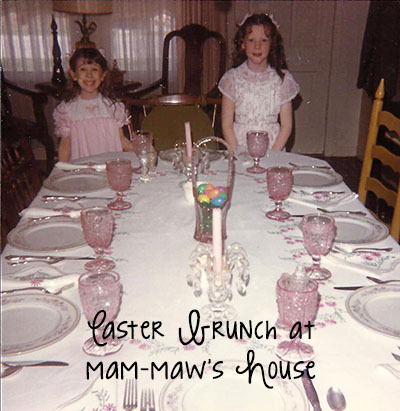 Easter is more than a bunny, more than new dress clothes, more than candy, and more than even attending a special service with the whole family. Easter is about the resurrection of our Lord Jesus Christ. Easter is about victory over death and sin. 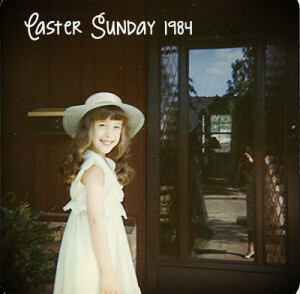 Easter is about the new kingdom and new life Christ makes available to us…right now. 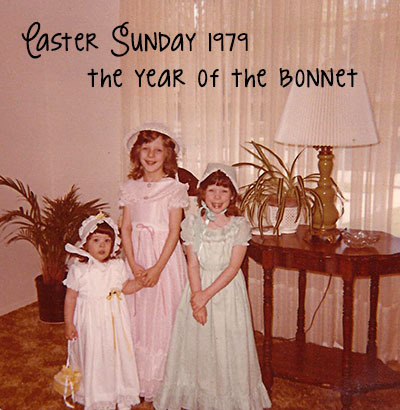 To help the twins connect those dots, we try to downplay the commercial trappings that come with the season and try to focus on elements that inspire them to love Christ more deeply. We have fun decorating the house, doing fun activities that picture our new life through Christ, making fun and symbolic foods, and sharing special devotionals. 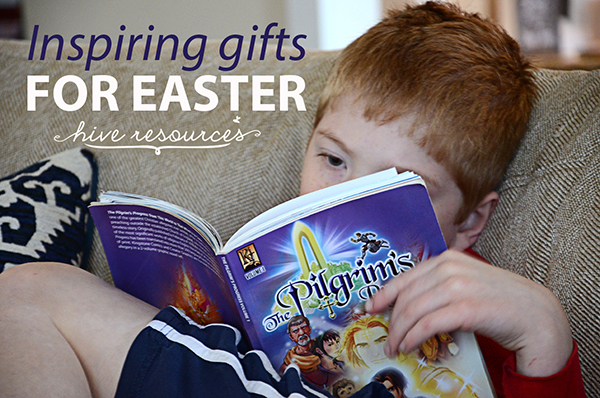 We don’t “do” the Easter bunny, but we do fill baskets with gifts meant to inspire their minds. For my boys, this task can be harder than it sounds considering that most books and activities produced during Easter are pastel or depict baby animals. If you have the same problem, you might consider adding some Bible-based graphic novels to your son’s Easter basket this year. 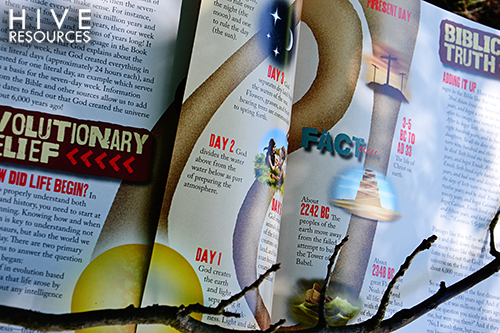 Last year, we gave our boys the Action Bible – a visual timeline of about 200 Bible stories in chronological order. The artistry is amazing and the editors do a pretty good job retaining the overall message and point of each Bible story – making sure they form one cohesive narrative of redemption. Now, it comes in a 52-week devotional, a Bible dictionary, and a recently-released ESV study Bible edition. 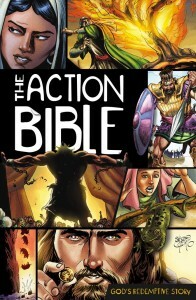 Just a warning: as with most graphic novels, the artwork is very realistic and doesn’t shy away from the biblical story. So, Ezekiel’s dry bones take on more a zombie feel and the crucifixion of Christ can be a lot for young eyes. Those facts didn’t deter my boys, but if you have younger children, previewing the books is always a good idea. By chance, I stumbled across the graphic novel of John Bunyan’s literary classic, Pilgrim’s Progress, at a LifeWay store. The graphic version is split into two volumes and is abbreviated and retold so that younger readers can take in this treasure. Not sure if the twins would like this book, I only bought the first volume and packed it for an upcoming trip to visit our other boy cousins. Between the six of them, this book was so well-read and fought over that we left for home missing several pages. Each boy was mesmerized by the story of Christian and his loyal friend Faithful. The artwork is nothing short of amazing and emotional. The boys were so invested in the storyline, rooting for Christian to sidestep the various temptations along his journey, that I ordered the second volume while we were still on our trip and had it shipped to we were staying. I still find them curled up on the couch or in bed with this book in their hands when they have a quiet moment. If you have boys ages 6 and up, this gift will surely inspire them to faithful living in light of the resurrection. A similar note of caution: the artwork is very realistic, so depictions of Satan could be scary for young readers. Similarly, some of the ladies are drawn in particularly sensuous ways. If that worries you, previewing a copy is wise. The success of the Action Bible and Pilgrim’s Progress with the boys, sent me on a mission to find more material for the twins. I discovered that Kingstone Media also produced their own comics line, with graphics similar to today’s comic books. 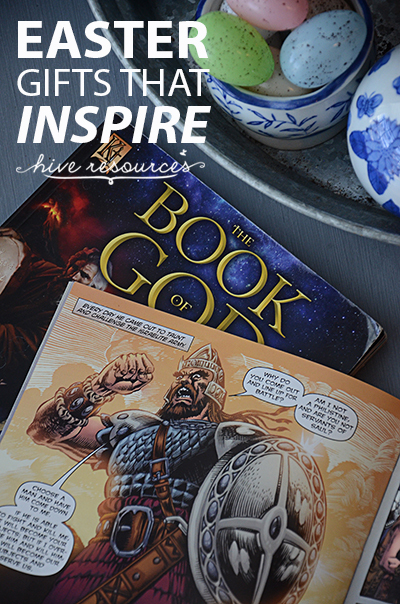 In addition to slim comic books that retell Old Testament stories – like King David and Joshua, Kingstone also produces longer books like how the Bible came to be in the Book of God. Each of these resources have opened the door to interesting conversations with the twins about faith, God, the afterlife and more. We’ve used them as quiet reading material as well as fun family read a-louds before bed. How do you inspire your children with the message of Easter? I’d love to hear what you’ve used in your home, so share your ideas in the comments! With Black Friday looming, the gift-buying frenzy is upon us! But this Christmas, considering making some of your presents to your children reflect the full meaning of the season. During a time when we celebrate the Word becoming flesh, what better gift can you give your child than the written Word of God? 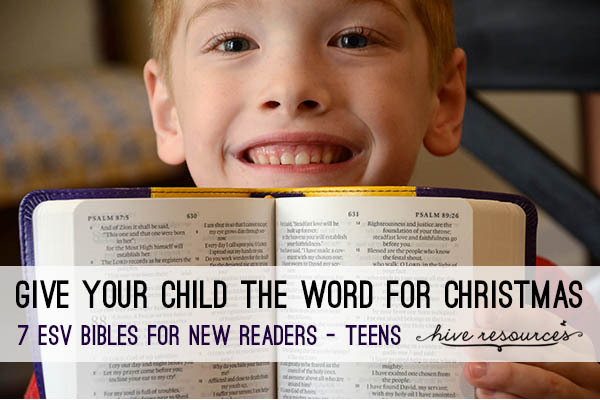 Give your child a Bible this Christmas, especially if they are just beginning to read or they are transitioning into a new stage of life. Here are 7 ESV Bibles from Crossway for pre-readers through teens. Any one of these Bibles would make a meaningful Christmas gift. Features: full ESV text, glossary, maps, OT & NT timeline art, dictionary, words of Christ in red. 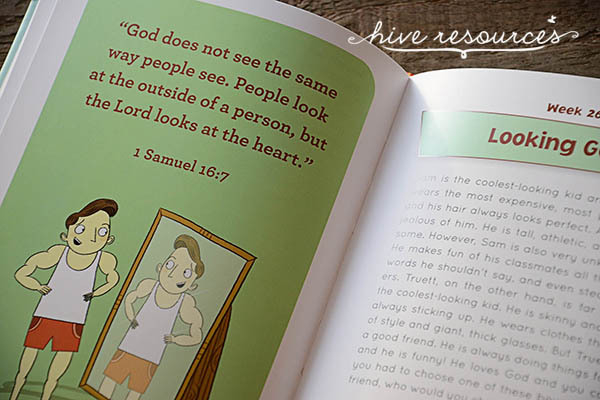 The ESV Kid’s Compact Bible works for both boys and girls. Its slim body is easy enough for little hands to carry and slip into a backpack. The Kid’s Compact Bible comes in a variety of colored leathers with embossed designs like owls, swords and shields. My six-year-olds loved the swords! Overall, the size and simplicity of this Bible would make it an excellent first Bible for readers as they learn to discover and navigate God’s Word by looking up verses – even if the text is a little small! Features: full ESV text, 130 full-color illustrations with accompanying Bible story summaries, short book introductions, over 50 character profiles, fun and colorful facts highlighted throughout the text. The ESV Seek and Find Bible was my son’s (Jonah) favorite because he loved the illustrations and colorful graphics. Because he’s just beginning to read, the illustrated Bible objects, structures, and places really captured his imagination. But here’s what I loved. 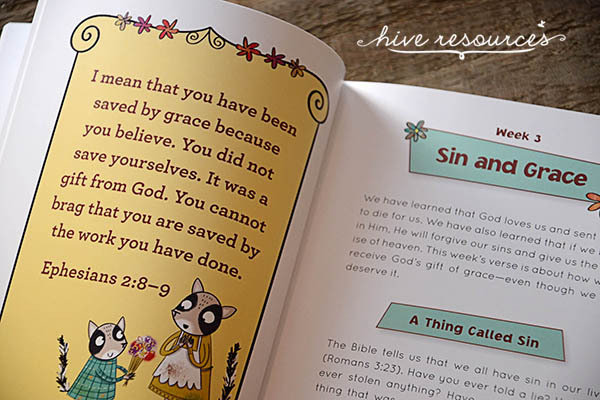 Each illustration is paired with a story, key memory verse, additional readings, and reflection questions giving parents lots of tools at their fingertips to help their child understand and apply God’s Word. 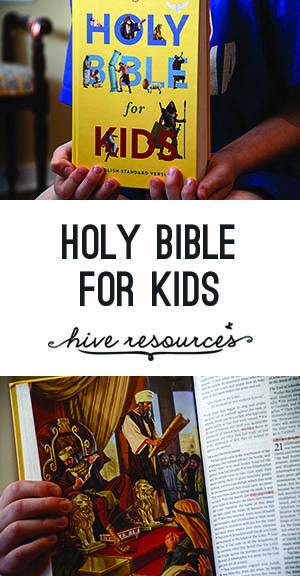 It is ideal as a first “study” Bible and very usable for homeschool, family Bible study, or fun interactive activities involving Scripture. Features: full ESV text, 24 pages of special content, illustrations of major scenes in the redemptive story, and maps. 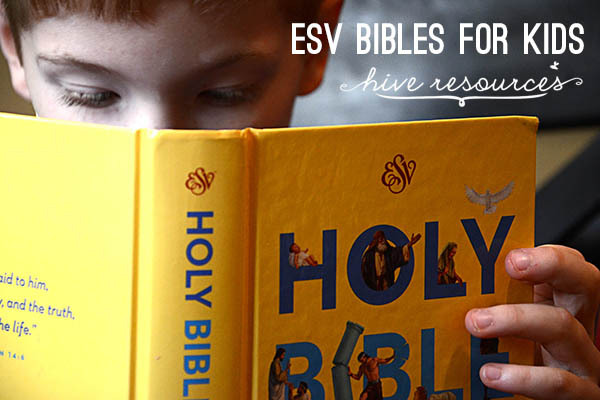 If you’re looking for an illustrated Bible without all the bells and whistles of other Bibles (and within a great price point), then the ESV Holy Bible for Kids might be your best bet. Some of the full-page pictures are the same as those found in the Seek and Find Bible, and it has a clean double-column design. Overall, I think the cover artwork might appeal to a younger age range than the publisher’s recommendation (ages 9-12). But out of the seven Bibles reviewed in this post, my 6-yr-old son (Zach) picked this Bible as his favorite. The lack of extra notes or artwork in the body of the text made it easy to find a verse or passage. My only complaint is that the text is a bit small. Features: full ESV text, key comprehension questions, application sections, charts, maps, short book introductions, and articles on Christian doctrine. Out of all the seven Bibles in this post, the ESV Grow! Bible was my favorite because of its rich content and emphasis on understanding and applying God’s Word. 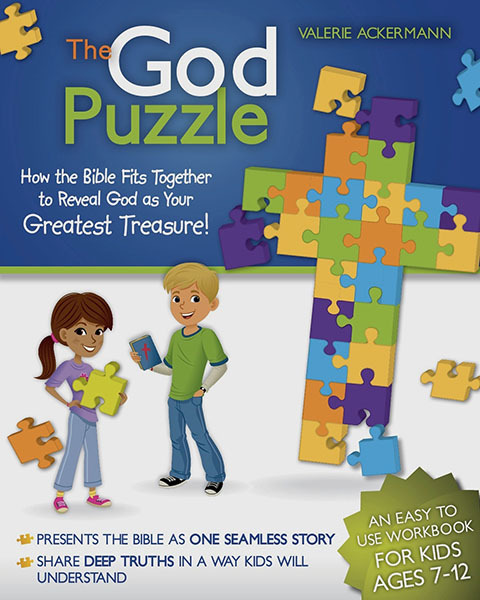 Almost every page contains a “W” question (who, what, when, where, why) helping children frame the central theme of a passage or story as well as understand the significance of God’s Word for daily life. Also included are 45 “Cross Connections” to help children connect-the-dots between Christ and the rest of Scripture. The Grow! Bible also contains 90 “4U” sections geared toward textual application as well as helpful articles on Christian doctrine and practice. Subjects include: the sacraments, What is the Apostle’s Creed, and The Whole Bible is Really About Jesus. Because the publisher recommends the ESV Grow! Bible as a second step after the Seek and Find Bible, we will definitely be hanging onto this Bible as the twins grow in their reading comprehension skills. Features: full ESV text, character profiles, “Quick Relief” indexes and glossary, devotions written by longtime student ministers Michael and Hayley DiMarco, in-depth book introductions, and must-know terms and verses for each book of the Bible. At heart, the God Guy Bible is a devotional Bible, but it’s a Bible geared toward teens who desire to know and apply God’s Word for themselves. The “Know This” devotionals and “Ask Yourself” sections highlight passages and themes and how to apply them to daily living. 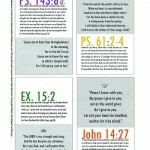 Plus, daily reading plans encourage the reader to engage their Bible daily. 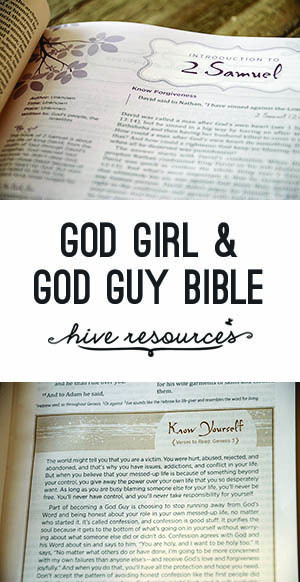 Features: The features for the God Girl Bible are essentially the same as the God Guy Bible. 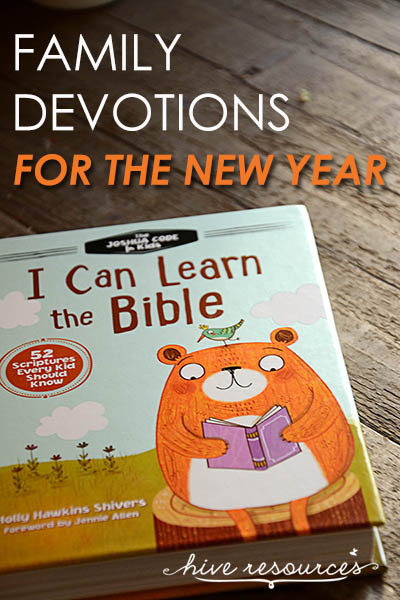 They include: full ESV text, character profiles, “Quick Relief” indexes and glossary, 200 devotions written by author Hayley DiMarco, in-depth book introductions, and must-know terms and verses for each book of the Bible. 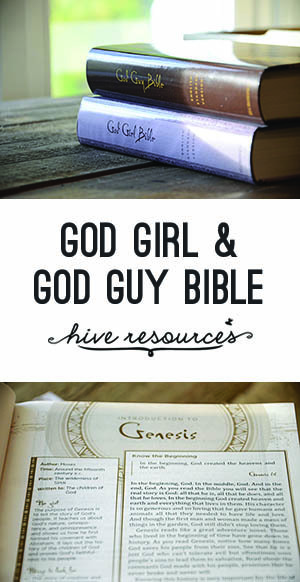 Additionally, the God Girl Bible has a uniquely feminine design to appeal to its target readership. Both the God Guy and God Girl Bibles would make a worthy gift for challenging for any teen or tween to start 2015 off in Christ. 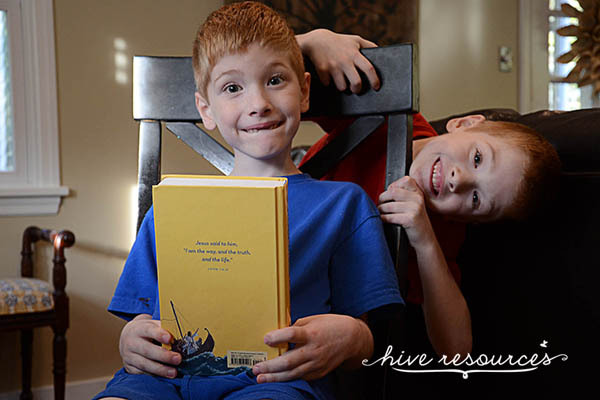 If I had to pick a favorite for my boys (age 6), I’d pick the Seek and Find Bible and ESV Grow! Bible simply because they pack the most bang for buck, offer the most tools for study, and are geared toward helping children become self-sufficient students of God’s Word. Despite being really heavy, these are Bibles that I know the twins will grow into for years to come. Special thanks to Crossway Bibles for sending me these Bibles to review for you! And a big thank you to Zach and Jonah, who were so excited about their very own Bibles that they even agreed to help me review them! May 2015 be a year you grow in your knowledge of our beloved Savior! Thank you for reading along with me this year. God worked in the life of my family in some surprising ways, and very often that spills out onto the blog page. 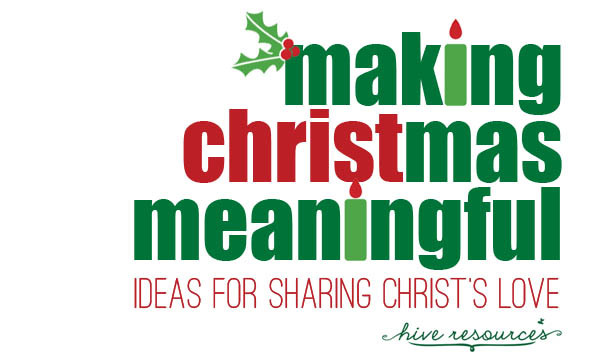 So, here’s 10 of Hive Resources’ most-read posts in 2013. They’re listed in order. This post was pinned almost 400 times! God’s Word is powerful. It reveals who God is and who we are. If you haven’t seen this one yet, I hope you enjoy the free printable. 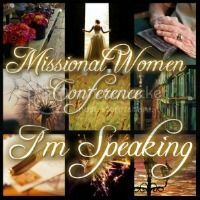 This guest post by my friend Nive Burris of Handful of Joy helps you instill a missions mindset in your kids from the very heart of your home – around your dinner table. It resonated with many of you. Thanks for sharing it over 200 times! Many of you clicked on this post because of it’s title. Whatever you were expecting, I certainly appreciated your comments. You shared this one 372 times! 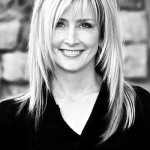 Over the summer, I teamed up with my friend Kristen Summers of Celebrate Every Day with Me in a series on hospitality. 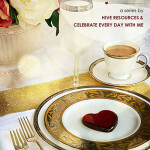 Two of my posts from our series, Hospitable Hearts, made my top 10. 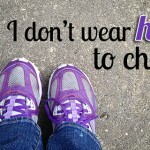 When I wrote this post, I had no idea it would be my most controversial post of the year. I received a lot of feedback on this post. But what surprised me the most were the number of Christians who sent me hate-mail. In fact, I stopped approving comments all together on this one, because ain’t nobody got time for that. I’m so glad this post made it on my top 10 list. It combines two things that make my heart sing – equipping women to read the Scriptures and opening my home. I didn’t pull any punches in this post. Real hospitality is a pursuit of kindness, not a party. In spite of the poop story, I’m glad you gals liked it! You pinned it 768 times! 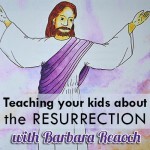 I was honored to interview Shepherd’s Press author and veteran Bible Study Fellowship director Barbara Reaoch in this post. She shares some tried and true traditions for teaching children as small as preschool about the big truth of the resurrection. Last January I set a goal to grow my theological library. And I’m happy to report, I more than exceeded my expectations! (The hubsters is hoping I set a different goal for 2014!) Thank you Amazon Prime! Here’s how I did it. Kathi Lipp’s book, Praying God’s Word for Your Husband , was one of my favorite books of 2013. It helped me focus my prayers for my husband and helped me assess any selfish motives driving my prayers for him. It was a quick read and would even make a great gift for a friend or family member. 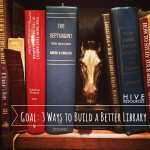 Thank you to all my Hive Resources readers! Because of you, 2013 was a great year! Looking forward to 2014 and what God has in store! I hope you’ll join me! 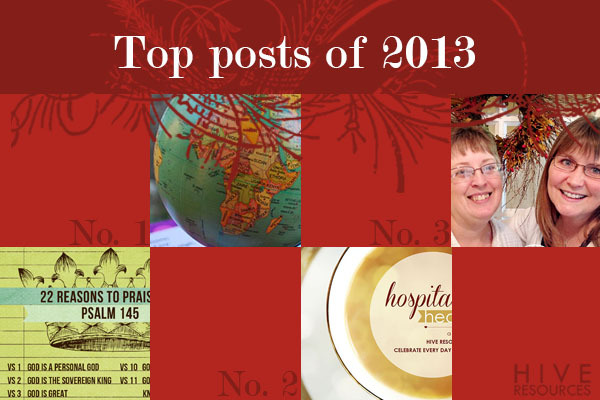 Did you have a favorite post from 2013 that didn’t make it on this list? Share it in the comments! 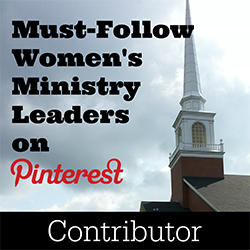 Teaching our children about God’s Word is one of the biggest ministries we share as Christian women and mothers. So, today, I’m honored to host THE Christina Fox of To Show Them Jesus as she reviews a valuable book for teaching your children how to interpret and apply God’s promises. Plus, Christina is giving away one copy to a lucky reader! So, be sure to enter at the end of the post! UPDATE: Winner announced at the end of the post! One morning recently, I awoke feeling a bit low and disappointed about circumstances in my life. The night before, I had prayed earnestly for God to give me gospel joy in spite of life’s disappointments. And answer that prayer, he did. This summer during our morning devotions we’ve been studying the promises of God, and that morning we studied God’s promise to not withhold any good thing. As I talked with the kids about God’s promises and his faithfulness, I was also reminded of God’s faithfulness in my life. (I love how God works!) I shared with them times in my life where God provided just what I needed, when I needed it. I even shared the story of how we did our wedding on an extreme budget and how so many people helped us put it all together. Reading about this promise reminded me that God’s timing is perfect and his ways are always good. As we’ve studied the promises of God, we’ve written them down and put them in our promises box. 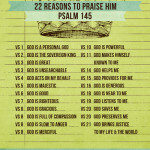 That morning, the kids and I wrote a list of the ways God has provided for us as a family. “Mom, if we were to list all the ways God has provided, it would be too much to count!” one of my kids announced. “Yeah, like as high as googol or infinity” added the other. The book we are using is called God’s Promises (Children Desiring God) . Each chapter describes a different promise God has made in Scripture and uses a story from the Bible to describe that promise. For example, we read the promise that God is slow to anger and learned about how he was gracious to Nineveh (and even to Jonah) in the book of Jonah. Another chapter described God’s promise to be our strength in weakness and told the story of how he used Moses to deliver the Israelites, despite his weaknesses. At the end of each chapter are discussion questions and even activities to reinforce learning. This is our second book we’ve used by Sally Michael. 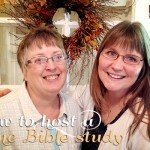 We have really enjoyed her devotionals and highly recommend them. I love it so much that I want to give away a copy! UPDATE: CONTEST CLOSED – CONGRATS TO THE WINNER Kristen T! 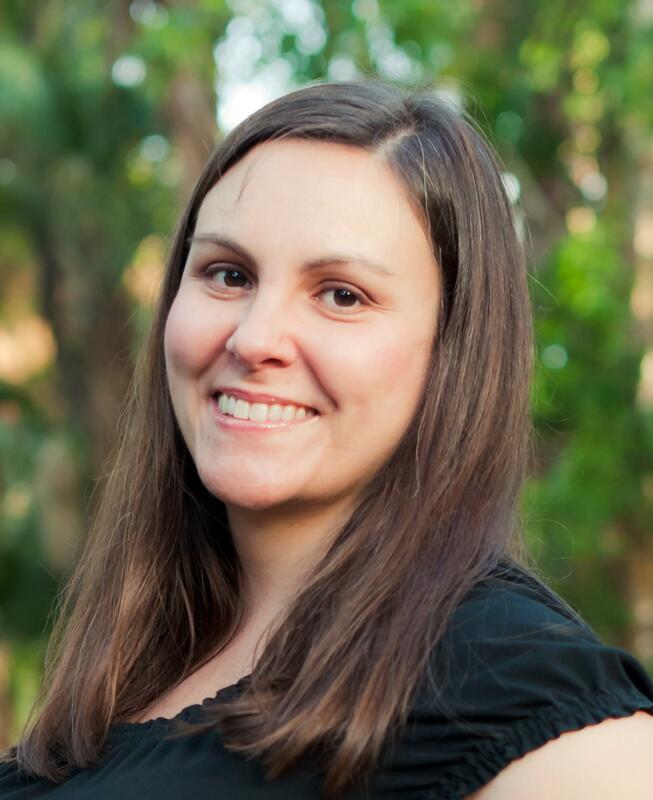 Christina Fox is a homeschooling mom, licensed mental health counselor, and writer. She lives in sunny south Florida with her husband of sixteen years and their two boys. 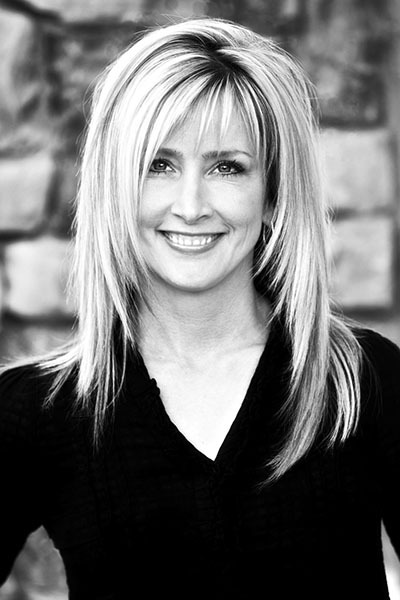 You can find her sharing her faith journey at www.toshowthemjesus.com. 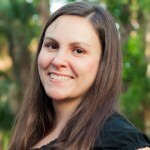 Connect with Christina on Facebook or Twitter! It doesn’t matter where we go, the theory of evolution seems inescapable – especially when you’re talking about dinosaurs. The museum, picture books, school, movies, cartoons, and even Pinterest worksheets – all tell our kids that the world was created by accident, it’s billions of years old, and they are descendants of animals. But I want my kids to take joy in the truth – that a loving God created them and all the animals not so very long ago for a unique and special purpose. So, if you’re finding yourself in the same boat – constantly having to filter “authoritative” voices in your children’s lives – then take heart, Mom! 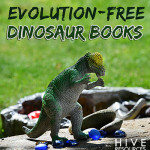 After doing some digging, I’ve found some evolution-free resources on dinosaurs. You’re gonna love these for a lot of reasons! Why I love this book: It’s so cool! The graphics are amazing. Plus, the information presented by the author is both factual and interesting – all shared from a biblical point of view. My four-year-old’s loved it. You can find out more about Ken Ham at his site Answers in Genesis. The companion kid’s site – Kids Answers – has free downloadable coloring pages, videos, and science-related activities, too! 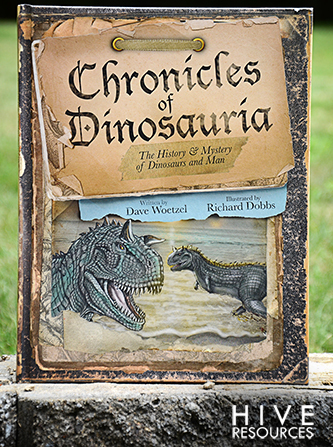 Why I love this book: In his intro, author Dave Woetzel says one of his goals is to “reclaim the terrible lizards to the glory of or incredible Creator.” To achieve this, Woetzel has gathered biblical, historical, artistic, fossil and cryptozoological evidence that the dinosaurs and man co-existed. 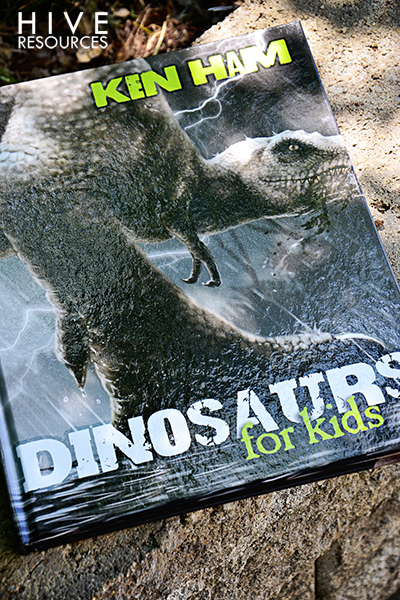 So, even though Chronicles of Dinosauria is full of facts and research, it reads like a hands-on field global expedition. 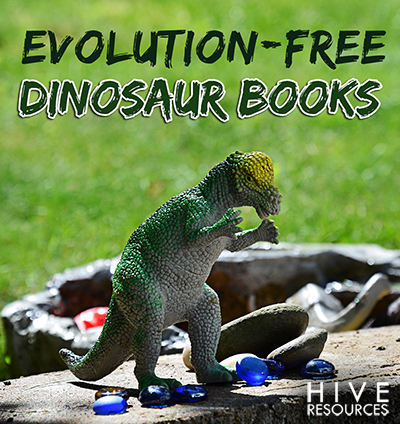 Plus, the author doesn’t shy away from talking about the Loch Ness monster, dragons, and many more subjects to which curious little minds are often drawn. What I love about this book: The book is crazy cool and very interactive. 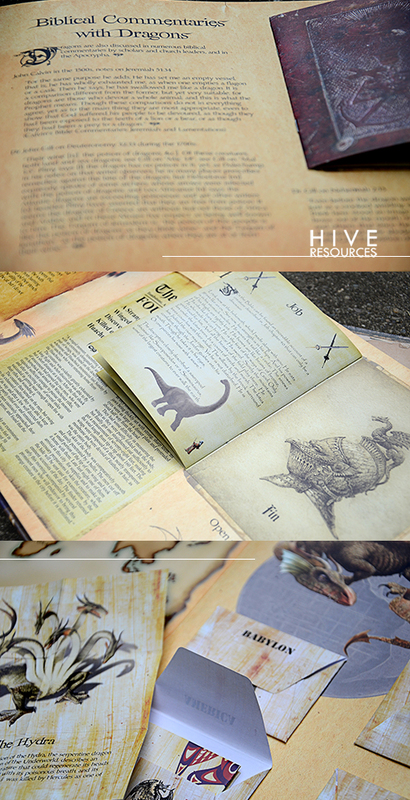 Each page has folded flaps and pop-outs that invite little hands to open and explore. 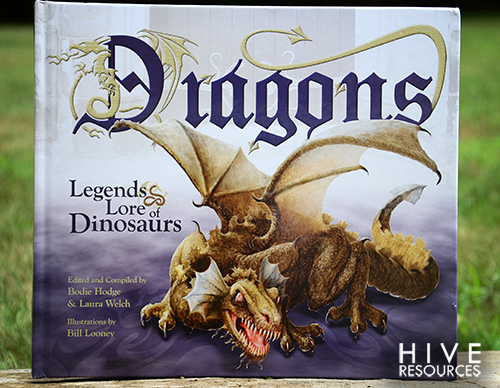 I love how Dragons: Legends & Lore of Dinosaurs unifies historical and contemporary research findings on dragons and gives biblical explanations for similarities that occur between cultures. Also cool is the author’s insightful addition of different biblical commentary on these magnificent beasts! Kids get to hear what people like John Calvin thought about dragons! 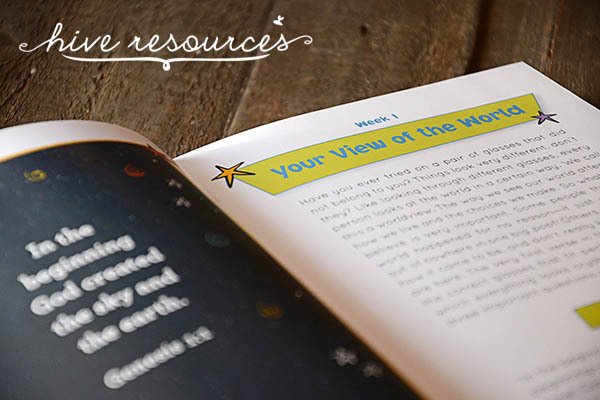 What resources written from a biblical worldview do you enjoy with your kids? Share your ideas in the comments! This post contains affiliate links. To find out what that means, click here. 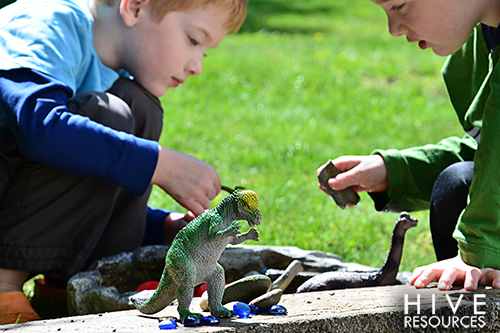 Looking for some ideas for keeping little hands busy and little faces happy this Summer? 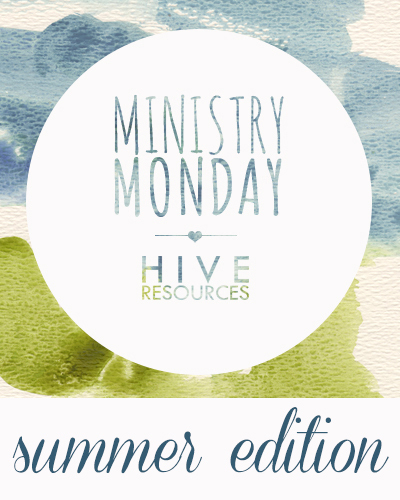 Check out these resources and tools for packing your Summer full of faith and fun! I bought this ebook for 1 reason. It was written by a mother of quad BOYS! (You read that right!) And I was so glad I did! It is packed with fun and creative ideas for helping little boys get their wiggles out and build up their brain power. Some of her ideas include how to build a toy zip line, mini ice forts, and even your own fishing rod! Plus, it has lots of great ideas for outdoor science projects. She includes material list, instructions, and helpful hints for each activity! What do I love most about this book? It encourages you to let boys do what they’re best at – being BOYS! If you haven’t heard of Frugal Fun for Boys you should bookmark this site immediately. 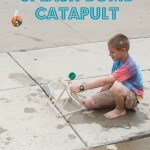 This mom of four (Sarah Dees) shares fun activity ideas like how to build your own catapult out of dowel rods and rubber bands as well as age-graded homeschool and Bible material. What do I love most about this site? 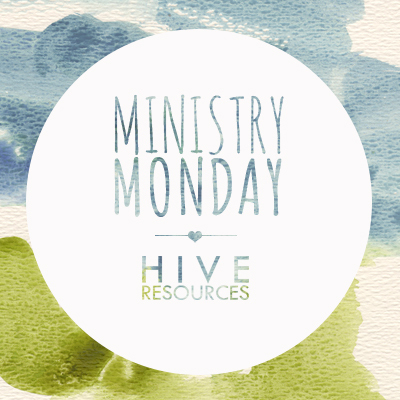 Her series on Biblical Boyhood and her ideas for lego activities! 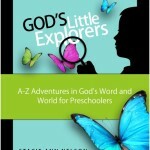 Written by Motherhood on a Dime’s Stacie Nelson, God’s Little Explorers Curriculum is a 28-week journey through the Bible (exploring God’s Word). 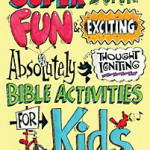 It includes letter and theme studies (exploring God’s world) and full of printables and reading suggestions. What do I love most about this curriculum? It’s super cute and proceeds of the $14 purchase price go to fund the building of an orphanage in India. 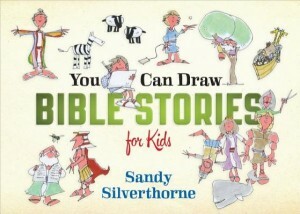 This book sold by LifeWay has over 100 activities for 8 Levels of biblical learning for babies through kindergarten. It focuses on hands-on activities for “concept areas” such as God, Jesus, the Church, Creation, and more. This is a great tool for fun summer ideas you can do at home or easily incorporate into a Sunday School setting. What do I love most about this book? A CD-Rom is included with extra goodies! 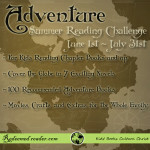 For the month of July, one of my favorite sites is hosting a Summer Reading Challenge covering the globe through novels of intrigue and adventure! It’s perfect for kids reading chapter books through middle grade level books. What do I love most about this challenge? 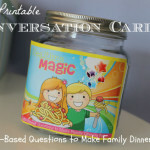 It’s family-based with suggestions for involving the entire family. Plus, as always, Redeemed Reader includes discussion questions from a Christian worldview to help kids get the most from the books they read! Take your kids on a virtual mission trip with ‘Around the World in 60 Days’ – an activity-based material by Thriving Family magazine. 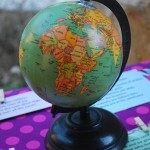 My friend Nive of Handful of Joy shares how she is using Around the World in 60 Days to teach her kids about world cultures. What do I love most about this material? It includes free printable passports and stamps for each country you “visit.” Plus, the material includes Bible studies to match! For more ideas for Summer fun check out my Preschool Pinterest Board. For faith-based activities follow my Bible Crafts Board. What fun activities are you planning for this summer? For info about affiliate links in this post, click here! Bad moods and dark hearts, you will not win! If you get as frustrated as me with all the fighting, whining, and testing under your roof, then maybe these 3 tools for building better character in your kids will bolster your resolve. I bought Get Wisdom! in January with a goal to read a chapter a week. I enjoyed the book’s emphasis on wisdom (over good behavior), but I couldn’t help but wish it was a little more robust. As the months wore on, I knew I needed to add another tool to my arsenal with a little more visual appeal and creativity. It is the cutest thing I’ve seen. Each virtue is paired with a fun, easy-to-remember “personality.” For example, Oboe Joe shows you how to be obedient as he cheerfully follows the conductor’s lead when he plays his oboe. My twins are fascinated with each character’s story. Each virtue includes a catchy phrase for a definition, as well as an antonym to help children better grasp and apply each virtue. I intended to use We Choose Virtues this summer, covering one virtue each week, but we’ve had such big battles with dark hearts recently I’m cracking open the material this week! (Seriously). 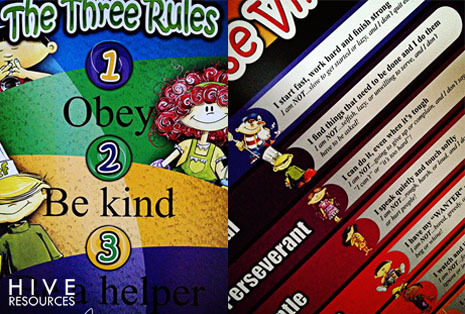 Despite the numerous resources the We Choose Virtues set includes, I was disappointed to discover it didn’t include a full lesson plan for each virtue. However, my dear friend Jessica of Jessica’s Jabber and Hive Resources contributor found this gem – Kids of Integrity. 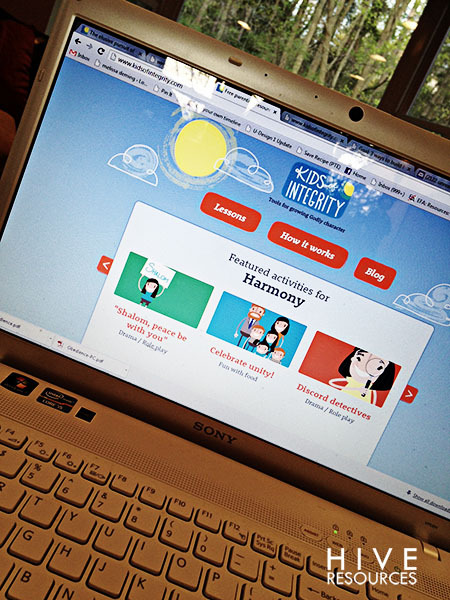 Produced by Focus on the Family Canada, Kids of Integrity is a goldmine of lesson plan activities. Each character trait includes about a dozen short Bible studies starters (verses, discussion questions, and key thoughts). Each character trait includes great ideas for crafts, hands-on learning, creative discipline. Each character trait is saturated with Scripture (even if Scripture is treated a little topically). I still appreciate this aspect, simply because the We Choose Virtues utilizes the NIrV which I’m not crazy about. (Why? I think it makes memorizing actual translations a little harder as our kids grow). I printed out the great weekly planner from Kids of Integrity and set to work pulling resources, ideas, and games from each of these three resources. This week we are covering our first virtue – obedience. Each day I will do a short Bible study, one activity to reinforce our study, and repeat a Scripture memory verse. I don’t anticipate spending more than 20 minutes on it each day, but I am hopeful I can be more consistent than I have in the past. I’m excited to dig in and will keep you updated on our progress. Maybe I should get an accountability partner. Jess? Are you listening? What are you doing to teach your children godly character? 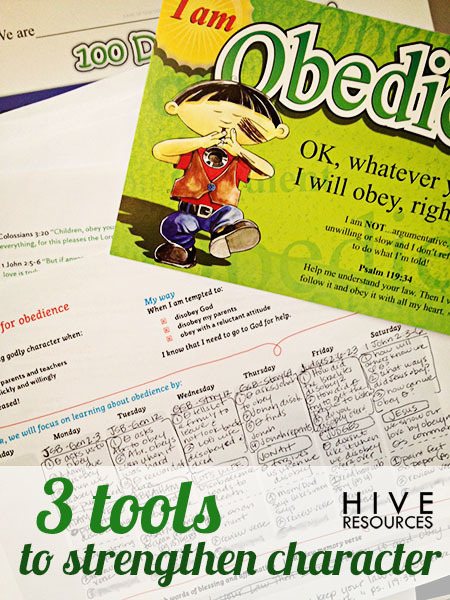 What biblical tools have you found to reinforce your efforts? For info on the affiliate links in this post, click here.